StockINDIA is one of the first virtual trading games that enables players to trade securities in real time on both the NSE and BSE. It's a good, safe way to learn about the markets and practice your skills without spending a dime. 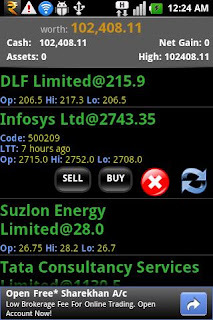 In this game, players can buy and sell stocks that are at real-time prices, get the latest news, view charts, and get live details. By making profitable trades, players can amass virtual wealth and climb up the leaderboards. 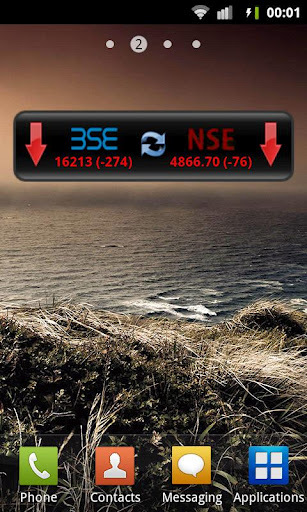 StockINDIA also has a series of fun game achievements, powered by Swarm, that add an extra social dynamic. If you have a specific interest in the stock markets in India, then take a look at StockINDIA and see for yourself what it can do!